All the testing methods below uses a multimeter and hence its How to test FET’s especially the JFET and MOSFET using a multimeter. How to test an FET ? 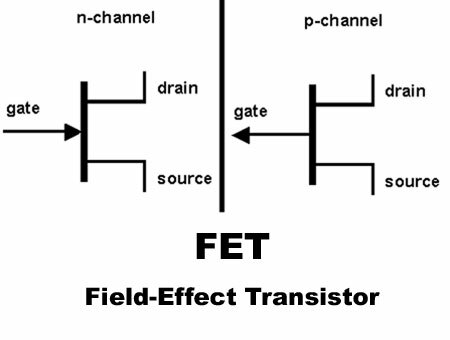 FETs are checked by measuring different resistances by a multimeter. When resistance is checked between source and drain, it should be of the order of 10 kohms. How to test a JFET ? 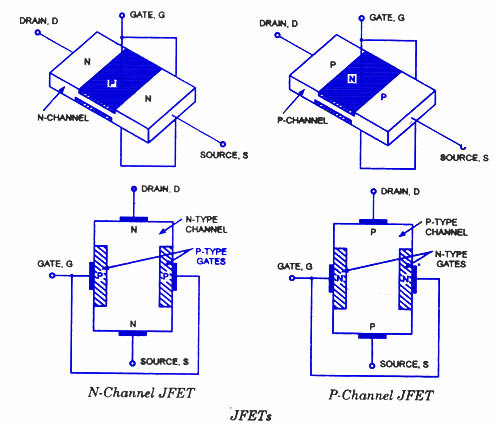 When a JFET is checked as a diode (gate-to-channel junction) multimeter should indicate low resistance between gate and source with one polarity and very high resistance between gate and source with meter polarity reversed. If the meter indicates high resistance with both the polarities, it means that the gate junction is open. On the other hand, if meter indicates low resistance with both polarities, it means that the gate junction is shorted. How to test a Mosfet ? While checking MOSFET, the resistance measured between gate and drain should be infinitely high in either polarity. Low resistance means faulty device. Image is not visible for “Mosfet testing methods”. I think it is not there in directory tree. Please update it as soon as possible.